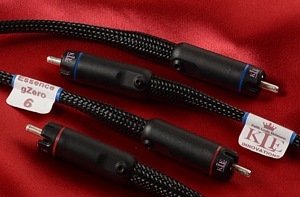 Making your music sound much better - the innovative new audio cables and plugs from Keith Louis Eichmann. We know from our own experience that the new KLEI cables easily better the finest cables we have previously listened to and sold. That they do it at completely fair and affordable prices makes the choice very, very simple. Connecting cables are a vital part of every audio system. Yet the actual contribution they make to the sound you enjoy can be easily underestimated - it's easy to just look at the major components in a system and see these as being the most important. There is no doubt that almost every audio designer will try to produce the best sounding components they can at any given price - if for no other reason that it's a highly competitive market out there. The radical improvements made in both the sound, and value of digital products over the last few years demonstrates an almost Darwinian scenario with intense pressure leading to rapid evolution. The new cables and plugs from KL* (which is how he prefers to be known these days) are very much a product of evolution. But what is really important to understand is this evolution has been focused and intense. The accumulation of many refinements, improvements and serious science together combine to produce complete cables which are genuinely innovative. In short, you can listen to any model in the range and you’ll find it far better than any existing cable you presently use. *And the full name of his new company is Keith Louis Eichmann Innovations - KLEI from here on in. The first thing you'll hear with any of the new KLEI cables is detail - there will be parts of the music that simply were not there before. In our own experience this comes from two things - firstly a really, really quiet background - if there is noise, it will hide music. Secondly, a cable must get sound from A to B. The first time you hear a cable that does this as it should be done, you'll suddenly realize that you have been losing far more than you knew. As much as we hate to say it, there are a great many audio components, and cables, that are literally strangling the life out of music. The new KLEI cables go a long way towards resolving both this problem and your music. "Good morning John & Carolyn, just thought I'd drop you a line after installing our new cables yesterday. I was about the house yesterday, so I installed all our new KLEI interconnects into our "little system" which we use in the bedroom. This I left running for the entire day, & even on this system, just wondering around the house doing chores, things sounded remarkably different. Later that evening, after the Prima Luna valve amp had warmed up for an hour or so, the KLEI interconnects were switched to the "good" system, & we sat back with a glass of shiraz & chocolate & lime cake, to spin a few disc's. Personally I was expecting an improvement of some sort, but was not quite prepared for the magnitude of what was to come! Just how much difference could some rather unassuming lengths of wire make to the sound of your music system? From the first few notes, we just looked at each other, with a look of surprise on our faces. Detail, speed, ambience & a total sense of space, around each individual instrument & voice. Notes that used to just end abruptly, now have an ambient trail of decay, as if you can sense the size of the room the instrument was recorded in. There's detail we just couldn't hear previously. I could go on with superlatives, but to say the KLEI cables are quite remarkable, is nothing short of fact. Using the Prima Luna valve amplifier, & Sonus faber Venere 2.5's, our system was rich, a little warm, & for use of a better word, "organic". The KLEI interconnects have injected a direct hit of the added detail, punch & tight low end, I knew was being held back with our previous "budget" cables. This assessment is all from our first 4 hours with these cables. There's a hint of top end brittleness at this stage, but I well expect this to soften as the required burn in time takes place over the next few weeks. All of this improvement, & we haven't even looked at the loudspeaker cables yet! So thank you John, for your always sound & tested advice & guidance. Every comment & description you spoke of about these cables is spot on. I know we have the best sounding interconnects for our system & budget, & look forward to what it's really all about, a closer experience to the music we love & are always discovering. Totally Stoked! The original Bullet Plug was KL's first product and easily the most successful - a rethink of the ubiquitous RCA or Phono plug used in just about every audio system. Millions have been made and fitted to cables worldwide. In New Zealand, the Bullet Plug was a major contributor to the success of SlinkyLinks. The Bullet Plug was a wonderful and deceptively simple product but that doesn't mean it can't be improved upon. KL has spent the last 15 years working on this and the result is a range of 4 new plugs - all share the similar design with the real variation being in material used in the conductors, which are designed in accordance with KL's Signal/Ground Formula. The new KLEI Harmony plugs are a story in themselves which you can read about here. All the new interconnects feature these. Cable design can attract some astonishingly smart people. I've met Ray Kimber and have the greatest respect for his intelligence and products. The guys behind SlinkyLinks came up with some inspired solutions out of left field that really worked. And although most of my communication with KL has been via e mail and phone, he recently visited and this has greatly informed me on the inner workings of both the cables and the man. I've followed his work for 15 years and never failed to be impressed by the quality and value of everything we have tried. What KL has produced with his new cables goes a long way past smart - this is genuine innovation that delivers a radical performance improvement that absolutely anyone can appreciate in even the most modest system. And the better you think your system is now, the greater the improvement you are going to hear with these cables. There is not one single audio component I know of that is going to provide as much benefit for as little - the starting point being just NZ$315 for a 1m pair of the gZero1 interconnects. But what you hear at first will only be a taste of what is to come. We've now had 6 months with the KLEI cables at home and have been forced to completely re-think the idea of 'burn in'. These cables improve dramatically over time - not just a few hours or days but over months. We've never experienced another cable - or component for that matter - that continues to to make gains over such a protracted period. While we could clearly hear both gains in detail and a more balanced overall tonality from the outset, the matured cable at 4 months or more is whole different ball-game. There is layer after layer of information that gets revealed, the sound is at once smoother yet more detailed. 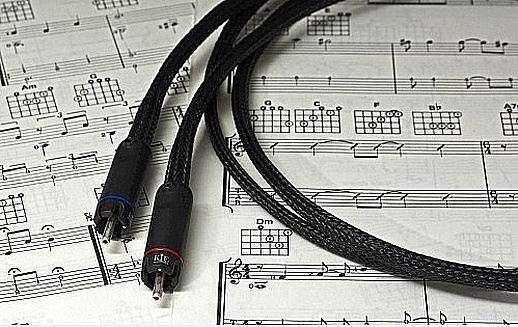 Fluid is the word that we think best describes the character of the KLEI cables. "Cables arrived quickly, this morning. A half-hour play says the zero10s are totally superior to Kimber Kable Heros (replacing pre-amp/power connection), but then you knew that. What will they be like when run in, several 100 hours from now?! Brilliant. Can’t wait to add the next pair. Dare I say they already make CDs sound like Blueray, particularly in smoothing the upper strings and revealing complex mid-range activity." KLEI specify a run in period with these cables - at least 100 hours. In our experience this is an extreme underestimation. Although we started to form conclusions about the quality of the interconnects within the first days, the progress as they run in is remarkable. Every aspect improves - resolution, smoothness, sound-staging. If you like these cables from the outset, then several down the track you'll be more than happy with the result. We have also found that the differences between cable models becomes more obvious. The new KLEI interconnects come in an array analogue and two digital versions - each providing a worthwhile and obvious improvement over the model below it. Although they look similar, if you examine them carefully you'll see that as you go up, better versions of the new Harmony RCA plugs are used. We already know that the original Bullet plugs sound better than most. An that the difference between the original and silver Bullet Plugs was significant. Yet even the new entry level Harmony plug improves upon the Silver Bullet plugs. So the base model gZero1 starts with an advantage over almost all other cables. Although its called the Copper Harmony plug, the pure copper parts of the plug are actually silver plated. Look closely as you move up the range - the gZero3 interconnects and you'll see that there is more going on with the actual cables - although this is largely hidden by the woven black sheathing. But importantly they also have the better Silver Harmony plugs fitted. Everything the gZero1 and 2 do well, the gZero3 is better at - it's a much more lucid, bigger and detailed sound. While there is a continuity that you'd expect, the difference is far from subtle. I’ve never actually heard such a big improvement between components for around NZ$200. The aim of the cable construction is to reduce and control the effects of the Ground on the Signal, and to simultaneously use the Ground to protect the Signal from external interferences such as EFI, EMF, RF, and static charges. The gZero architecture is comprised of hand wound conductors, and implemented in a manner to dynamically enhance electron flow in the Signal conductor, without the use of electronic components. It requires precise calculation, hours of hand fabrication. Each successive model in the gZero range, utilizes a progressively more complex and sophisticated cable architecture, employing varying combinations of multiple neutral/ground conductors, constructed from ultra high conductivity copper and/or silver, to achieve cumulative performance improvements with each successive model. The gZero architecture is an extension/extrapolation of the design principles utilized in the Harmony Plug. This is actually a really important point that deserves emphasis. Just about every other cable designer used someone else’s plugs - and a good number have used the original and silver bullets. KLEI cables are effectively unique in that they are complete products from end to end - the cable wouldn't sound as good without the plugs and it's doubtful any other cable would perform to the same level just because it had the Harmony plugs attached. Even though almost any cable will be improved by the Harmony Plugs. But back to the cables. If the gZero1 and 2 models are brilliant value and a great introduction, the gZero3 and 6 build on this with the 10 being a whole different ballgame again. What suddenly leaps out of your speakers are whole new songs and albums - there's depth and scale - a solidity that is more akin to a major step up in power or speaker size. The improvement in clarity is startling but it's not in anyway and etched or forward - the KLEI cables don't shout. Percussion - don't get me started! Every sound is in its place and in proportion. If there is a finer sounding cable than the KLEI gZero series we've never heard it. "The main difference is with SACD discs which are sent by the Oppo through its analogue outlets and these are now connected to the pre-amp with the gzero 3s. They make a huge difference after the kimberkable tonik and so once again the Eichmann cables are showing their worth. I’m quite convinced that what I now have (3 AC cables, 2 sets of zero10s and 1 set of zero3s) are making an amazing difference to the system in terms of clarity, distinction between instruments, complexity of tonal quality, particularly in the areas of mid-harmony and support parts, and a general improvement to the soundstage, notably in the middle area between the speakers, bringing it forward and removing any sense of sound being generated from two sources. It's all coming together wonderfully well I think and with 300 odd hours of improvements to come as the cables are run in." Are you still with us? Talking about cables can seem completely nerdish so we'll come back to the real point of this - the new KLEI interconnect cables will make your system sound much better. We haven't heard anything as good at any price. And given there are 5 choices in the analogue g Zero interconnect range, the only question is how much better would you like? You could change other components within your system to make an improvement. But chances are it would cost more than even the most expensive KLEI cables. You chose the parts in your system with good reason and what made them good then hasn't gone away. Improving even one set of cables is going to breath new life into the performance of the whole system. It's been well over 10 years since we've found something this good that can benefit so many people with greatly improved musical performance. This is why we do what we do. You'll enjoy far improved sound by connecting almost any components - CD players, DACs, pre and power amplifiers. Analogue enthusiasts will be thrilled to find that these interconnects are really quiet and hence perfect for direct connection to turntables and phono stages. Whatever the end use and whichever model you select, you’ll be thrilled with the sound. If you have a choice of places in your system to use these new cables, we suggest between pre and power amplifiers, or between your most used source and amplifier is the best place to start - there may already be a reasonable cable there, but simply move this elsewhere in your system - effectively you are only ever replacing the least good cable in your system. Yet every time you improve the resolution and transparency of your system, not only do all the parts sound better - you set the stage for even greater improvements. If you have the luxury of several separate components you'll find that each subsequent KLEI cable makes and even greater gain than the first - you have more material to work with so there is more to gain. In an all analogue system the chain might be - turntable to phono stage, phono stage to preamplifier, preamplifier to power amplifier. Thats three connections that can all be greatly improved. A digital system may well be simpler - maybe just DAC to integrated amplifier. In which case you can pat yourself on the back for having something more elegant and just go for one of the really good models. Don't even think about a new DAC or amplifier till you have heard what your present system can do with these cables. Like the analogue interconnects, the two Digital models are differentiated by the use of different plugs - the entry level gZeroD2 with the Copper Harmony Plug, the 'D3 with the better Silver Harmony termination. Choose from all 8 models of interconnect in stock now. Also talk to us about speaker cable options.